Splitting this out from #31476. The .button-link CSS rule for link-like buttons introduced in  provides a basic reset and just some basic styling. A good question was raised on #31476, wondering if the .button-link CSS class should provide also the default/hover/active/focus colors and underline to actually look like real links. Not doing that will force to implement them in every place the link style is used. 35126.patch​ (1.1 KB) - added by Cheffheid 3 years ago. Takes the "extend what we have" approach, rather than "adjust the default and update what's affected" one. 35126.2.patch​ (3.1 KB) - added by Cheffheid 3 years ago. 35126.3.patch​ (4.6 KB) - added by Cheffheid 3 years ago. Added .button-link to a number of places that remove text-decoration. 35126.4.patch​ (2.0 KB) - added by Cheffheid 2 years ago. 35126.diff​ (17.4 KB) - added by afercia 2 years ago. 35126.2.diff​ (17.6 KB) - added by afercia 2 years ago. 35126-ie11-postbox-underline.patch​ (316 bytes) - added by Cheffheid 2 years ago. 35126.3.diff​ (2.4 KB) - added by afercia 2 years ago. 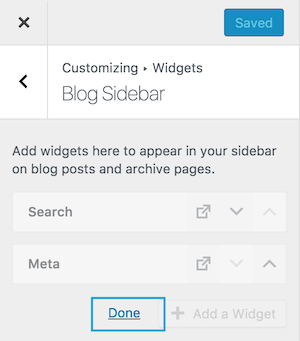 @afercia Do you want to make the links to display like buttons? This ticket was mentioned in ​Slack in #design by afercia. ​View the logs. #36553 was marked as a duplicate. Digging through everywhere the .button-link class is being used currently, and it looks like the impact of updating it is not that significant. 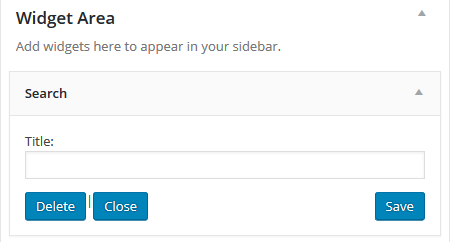 For the most part, it results in underlines on modal close buttons, and a change in colour on the postbox triangles. Each of these should be fixed in patch 2, but should definitely have a second pair of eyes in case I missed something. The Reorder link on Menus and Widgets in the Customizer became underlined. Brings it more in line with the other button links, and so I've left it as it is. The Press This sidebar got a noticable hover state that it didn't have before. An improvement in its own right, though maybe not exactly in an agreeable style. I'm fine with the added underline in the customizer, since that would match the delete buttons. I'm not sure if the button-link style is generally the best for this, but it provides nice hierarchy with the add buttons so we can keep it for now. I've added the .button-link class to where I thought it would make sense after doing this search. I may have been a little enthusiastic with adding it in places where I thought it could have buttons instead of links in the future though. @celloexpressions Cool, thank you sir! While reviewing this patch I was missing the red color for the menu item remove link in the customizer. 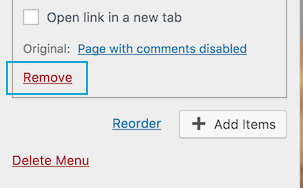 The .button-link.menu-delete has the red color, but the .button-link class adds a color to the remove link which displays as blue only now. Compare the remove button/link to the trunk version. Yep, while it makes sense to me to have the default button-link color set to blue, then the ones that need to be red should use a rule with a higher specificity than .wp-core-ui .button-link. This probably needs some more thoughts. This just needs a consensus on the proposed direction, and then it should be good to go after more testing. As per the accessibility meeting last Monday, we'll continue on the "extend what we have" path for this ticket. 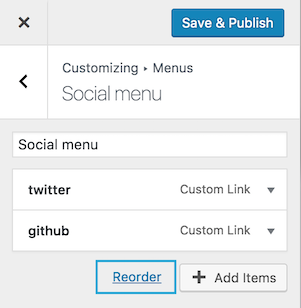 That way we can keep the .button-link class as it is and change the button-links that need to be blue to blue in a more controlled manner without having to worry about overriding the ones that have their style already mostly taken care of (like the red .menu-delete ones). I'll refresh the first patch and append the new class to buttons that need it. Anyone have any qualms about using .like-default as the class name for the "default blue link" style (trying to keep the class name colour agnostic, so that it can be overwritten for high-contrast admin themes and still make sense)? Opted to go with .like-core-anchor as a modifier to turn a button link into something that resembles a core anchor more closely in most browsers. 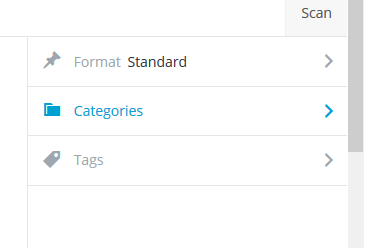 Except the ones that don't add an underline to anchor tags by default, since it does add that still. Also added a .like-delete as a modifier for red links. I would rather see this get a full base set of styles because of its name (we went with link and not reset, right?) and then work on fixing places that end up broken. This also seems more like an enhancement than a bug fix, so punting. See also the last Slack conversation linked above for a possible future direction. The .2 patch still applies fine, so that'll be a good place to continue from then. It already includes some fixes for button links that needed some additional love to restore their look as they were before, but I imagine there'll be more at this point (and some that manually had their styles updated to links that need to be cleaned up). Refreshed patch builds on the previous ones, with some adjustments discussed with @Cheffheid. it's way simpler to just update ﻿⁠⁠⁠⁠button-link﻿⁠⁠⁠⁠ adding color and underline, then modifier classes for red links etc. In 35126.diff​ the base class just makes a button look like a regular link and then it can use modifiers as stackable classes, in the same way all the WP buttons CSS classes work. For example, button-link button-link-delete makes a button link red. Press This: I've removed some button-link classes since they were mainly used to reset the buttons. Worth noting button-link was never intended as a "button reset" and shouldn't be used that way. There's probably the need for a button-reset specific class, but I'd say that's material for a separate ticket. 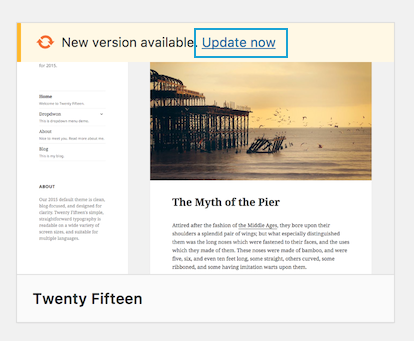 Refreshed patch to reset the subtle CSS transition on the media .wp-core-ui .attachment-close. Buttons: Improve the .button-link CSS class for link-like buttons. CSS class for red button-links. It's slightly weird that IE11 would render that underline. text-decoration is being set to none on the :before with an !important and everything, but I guess having .button-link set it to underline is enough for it to render it on the button's content. Setting text-decoration to none on the button seems to fix it. I'll upload a patch for that. I'd rather avoid encouraging the use of the .button-link class as a reset so I'd propose to remove it from the postboxes toggle. About the Customizer .reorder-toggle, it used to have a dotted border but that doesn't apply any longer since the refactoring in  which also removed the class .not-a-button. I'd say to just remove the rules specific to .reorder-toggle and let it use the colors from .button-link. The new patch 35126.3.diff​ fixes also #38712, props to f.staude and Presskopp. Buttons: Fix a few .button-link glitches after . Removes some stray underlines. Explicitly set the button text to be left aligned.